A bug's eye view, brought to you by a nano quadrotor drone. What's better than a tiny drone that buzzes like a bee through offices and hallways? 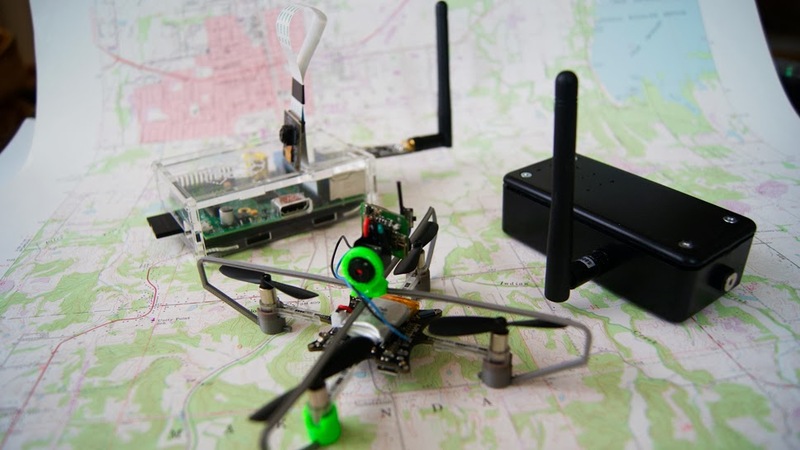 How about a tiny drone shielded with a 3D-printed frame, controlled by a Raspberry Pi base station, and equipped with a miniscule video camera and transmitter? A before and after photo of Shanghai inundated with smog, by Flickr's morgennebel. There's some good news in the air. Or, well, about the air. Last month, the American Lung Association released its 2013 report on the quality of the nation's air. 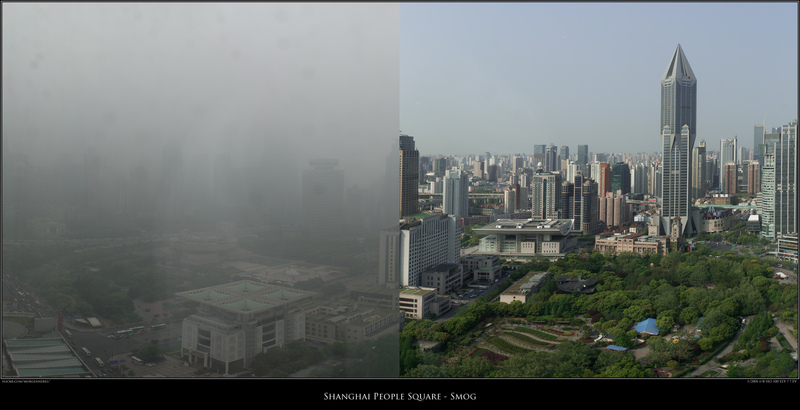 The Lung Association's "State of the Air" report shows the country's air is continuing to improve. The Lung Association attributes healthier air as a "direct result of emissions reductions from the transition to cleaner diesel fuels and engines and coal-fired power plants, especially in the eastern United States." That much is good. But there's much room for improvement. According to the report, "Of the 25 cities with the worst problem with spikes in particle pollution, fourteen had more days or worse problems in 2009-2011 than in the previous report." Six cities included in the report had their worst year ever (over the 14 years the report has been made) for short-term spikes in particulates. Chicago, home to some of the dirtiest coal-fired power plants in the nation, continued to flunk both daily and annual levels of particulate pollution. This was where I did my own environmental investigation on how the Fisk coal-fired power plant threatened the health of the Pilsen neighborhood (see: "Battle in the Barrio"). The Fisk station dumped 755 tons of particulates into the air on an annual basis, according to a pollution report from the Environmental Protection Agency. The Clean Air Task Force found that the plant contributed to 15 deaths and 23 heart attacks annually, a figure based on EPA data. The residents of Pilsen eventually won their battle, and the Fisk station was closed. EPA tests after the plant closure showed the particulate and radiation levels had returned to city-wide norms. Interestingly, one of the EPA air quality monitors was mounted in a baby stroller to measure levels around the perimeter of the plant. Pilsen didn't have air quality monitors to begin with, though. Its residents had to lobby the Illinois EPA before the state placed an air monitor atop an elementary school in the neighborhood. The readings from the monitor led the IEPA to declare Pilsen a "nonattainment" zone for lead, a particulate which impairs the IQ, learning capabilities, and memory of children.